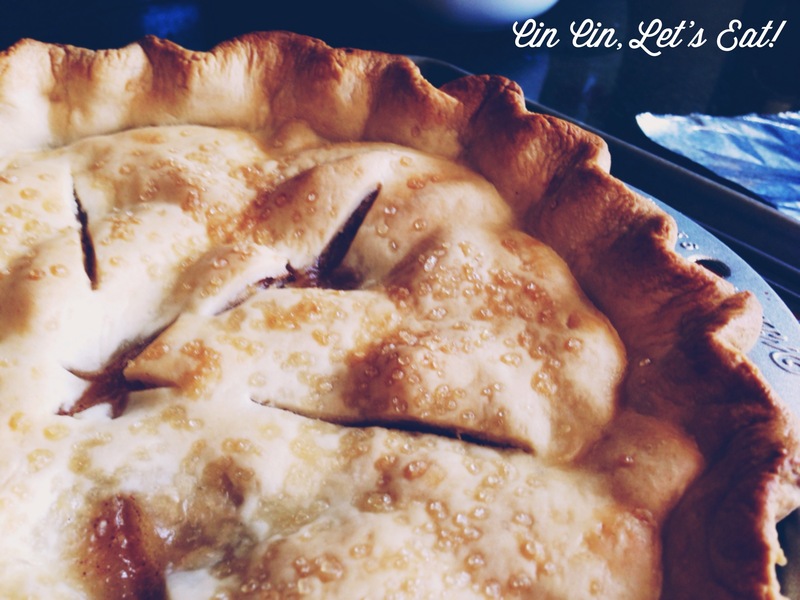 Peach and Apple Pie [recipe] – Cin Cin, Let's Eat! It’s hard for me to relate to apple picking in the fall because the apple tree in our backyard gives us an early harvest every year starting in late June through end of July. We can usually get a 3 or 4 bushels of fruit if we don’t let the birds and squirrels get to them first. We’ve always wondered about the variety of apples we get, and last week I was determined to find out. After hours of searching for images on the web, I think I finally got it, well, 90% sure anyway. It is called Gravenstein, native to Denmark, with an early harvest. 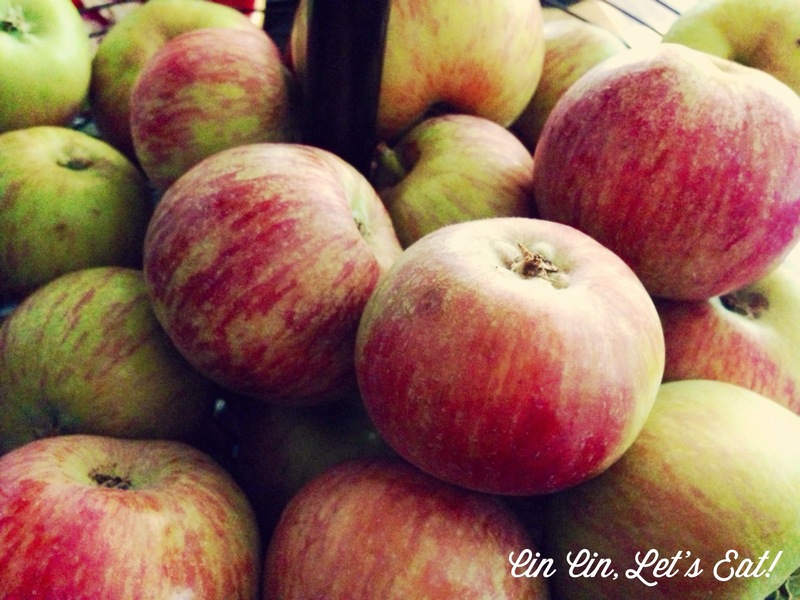 They are tart and sweet but best used for cooking like sauce, cider, or desserts. Since I’m allergic to raw apples, my usual routine to use them up by the mounds is to juice them (with this), boil and turn into cider. It’s too warm right now to drink hot cider, so I turn them into popsicles, or mix 2 parts cider with 1 part sparkling water for a refreshing summer beverage. It’s great for mixing cocktails too! 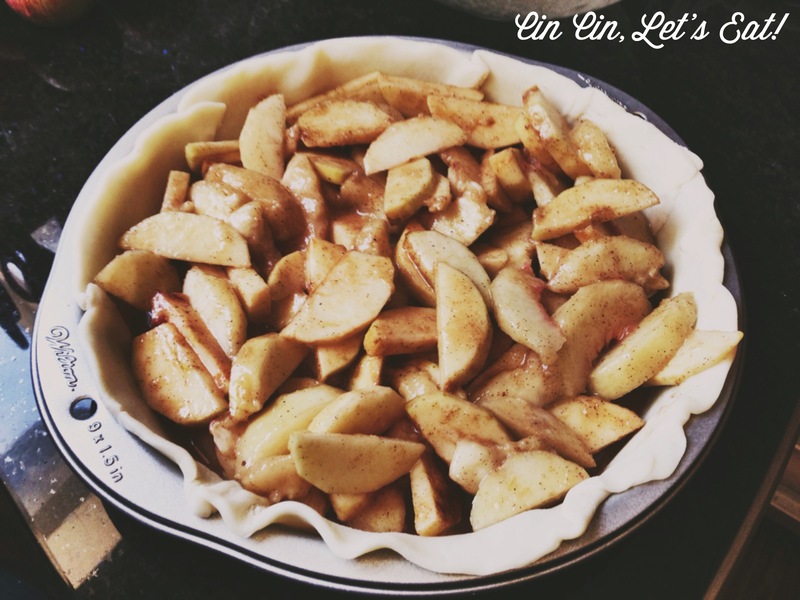 Besides juicing, I make a ton of baked desserts like pies and tarte tatin to give away. Summer desserts are all about showcasing fresh fruit so I decided to combine the tart apples with delicious white peaches from my parents’ tree and turned them into scrumptious pies. Be sure to choose peaches that are ripe and fragrant but still somewhat firm to the touch. I do think that using yellow nectarines and peaches will yield a even more divine filling, but the white peaches were wonderful as well. The aroma and the sweetness of the peach tend to overpower the subtler taste of apple so be sure to pick a crisp and tart apple variety if you want the flavor to shine. Preheat the oven to 425F. 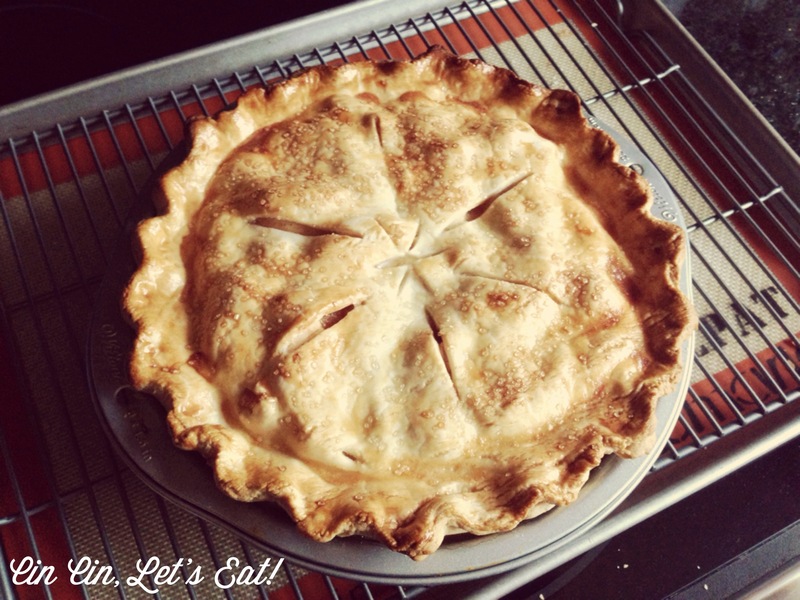 Roll out the pastry for your bottom pie crust and place in a 9″ pie pan. Set aside. Remove the peel from the peaches using a vegetable peeler or paring knife, being careful to just remove the peel and not too much of the fruit. Halve, pit, and slice the peaches. Peel, core, and slice the apples. In total, you should have about 6 cups of fruit. Place the sliced peaches and apples in a large bowl with the lemon juice. In a small bowl combine the white sugar, brown sugar, cinnamon, nutmeg, salt, and corn starch, then stir into the bowl of fruit until evenly combined. Pour the filling (including any accumulated juice) into the prepared bottom pie crust. Roll out the pastry dough for the top pie crust and cut some decorative vents/slits into it. Place over the pie. 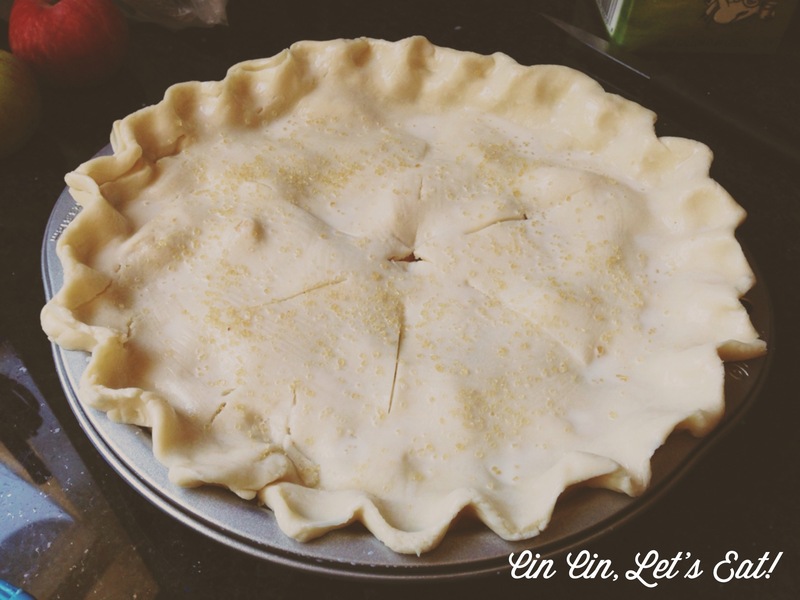 Trim the outer edges of pie crust until there is a 1-2″ overhang of crust from the pie plate. Flute or crimp the outer edges between your thumb and two fingers, or using the heel of a butter knife. Brush the top of the pie with the egg wash, using a pastry brush. Sprinkle evenly with turbinado sugar. Bake the pie on the middle rack for about 20 minutes, until the crust is just beginning to brown. Reduce the oven temperature to 375F and bake the pie for another 30-40 minutes, until the filling is bubbling and the crust is a nice golden brown. If the top of the pie or outer crust begins to brown too quickly, then cover it with a circle of aluminum foil for the remaining baking time. Remove the pie from the oven and allow it to cool for 2-4 hours before serving. This gives the filling a chance to set. You could eat it immediately out of the oven but keep in mind it will be very runny still. 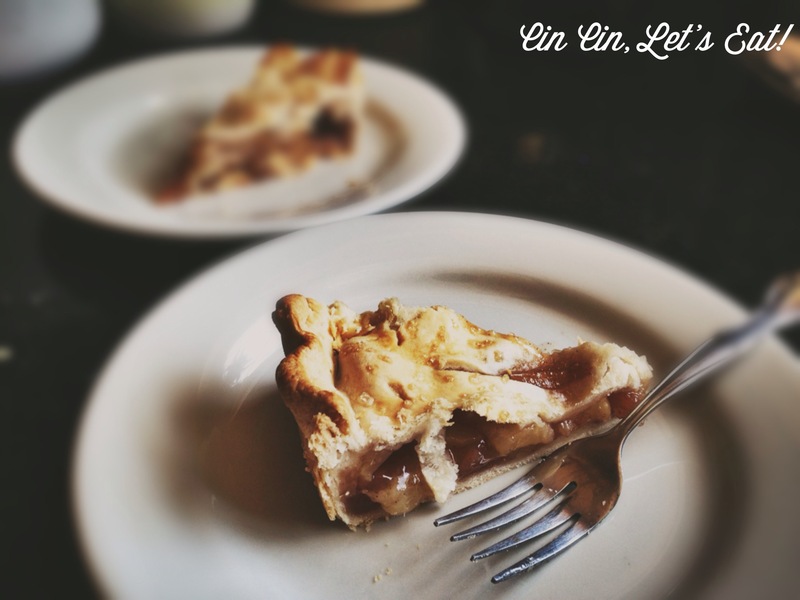 Store leftover pie covered, at room temperature or in the refrigerator. Yum! 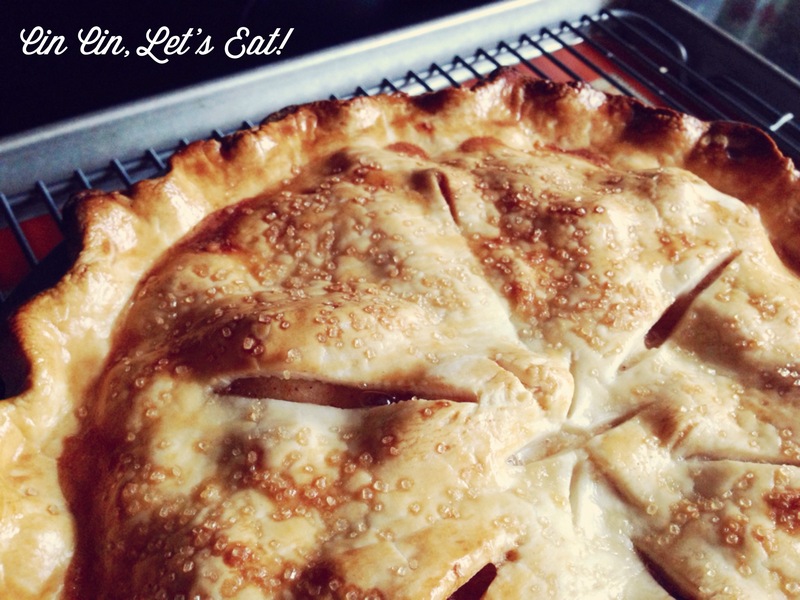 This looks incredibly – you’ve inspired me to bake a pie this weekend! 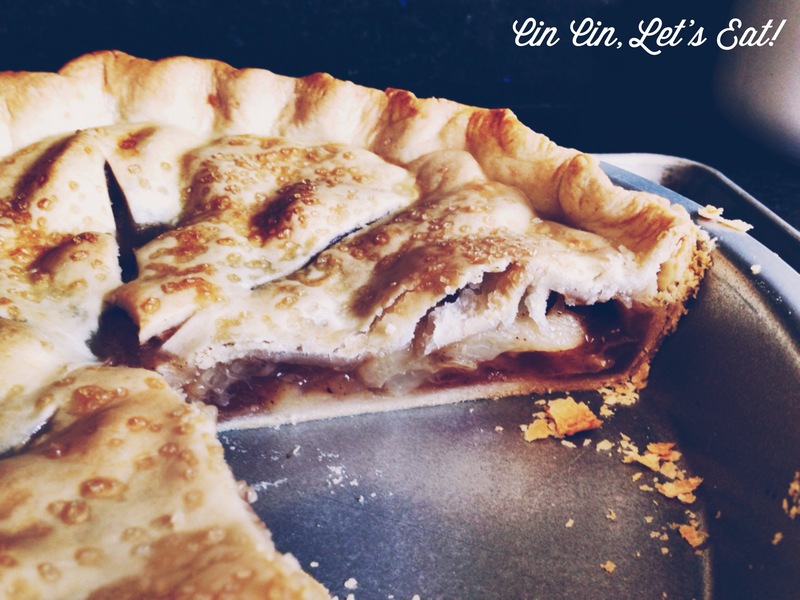 Your pie looks like a perfect slice of summer! Love the combination of apple and peach. What a smart idea to make applesicles!